From February 27 to March 1, hundreds of entrepreneurs, farmers, investors and consultants will gather to learn from one another, collaborate and explore ways to finance a better food system at Food + Enterprise. 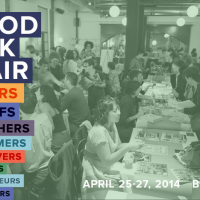 Incubated at Food Book Fair in 2013 and organized by the Northeast Foodshed Finance Alliance and Slow Money NYC, this three day conference features mentor sessions, workshops, panels and discussions with food luminaries and culminates in the Food + Enterprise Pitch Competition on Sunday, March 1. We caught up with co-founder Derek Denckla to learn more about Food + Enterprise’s unique approach, outcomes from previous years and his major goals for this year’s event. 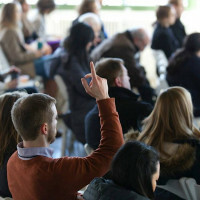 Denckla calls the conference a “breeding ground for creativity, ideas, and partnerships” and hopes attendees leave the weekend with business connections, increased knowledge of the sustainable food system and inspiration to make change. Are you a good food innovator who’s passionate about catalyzing a better food future? Sign up today, and as a member of the FTC community get $50 off tickets with code “FTC” here. Our interview has been lightly edited for brevity and clarity. Food+Tech Connect: How is Food+Enterprise different from other food conferences? Derek Denkla: We set out to make Food + Enterprise different by making its core values taking action and making connections to finance a better food system. We go to a lot of food conferences. And, lately, there are more and more of them! 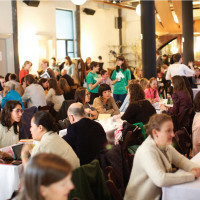 Many of the other food conferences in and around NYC explore the intersection of food and ideas, or culture, or health, yet no other gathering aims to foster collaboration that would finance a better food system. Many B2B food conferences are all head (often too technical and frankly a bit dull), while B2C food conferences tend to be a little too lighthearted, predominantly focused on aesthetics and entertainment. Food + Enterprise is driven by a desire to merge heart and head, having fun and creating lasting business value for all involved. Further, like no other conference, Food + Enterprise is centrally designed to promote triple bottom line approach to improving and localizing the food system, valuing profits, planet and people as equally important facets of business development. Hence, Food + Enterprise has been carefully constructed to maximize deep networking and shared learning to create meaningful and lasting connections and real business opportunities for all sorts of transactions. All the feedback that we have received from attendees suggests that our approach makes Food + Enterprise one of the most valuable events of the year for people working in sustainable food and farm business. 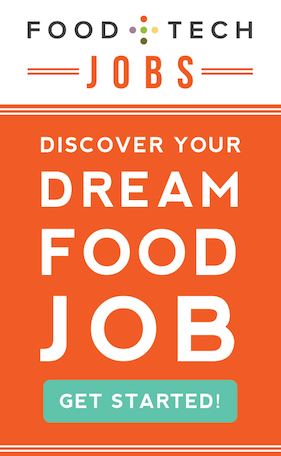 FTC: Who attends Food+Enterprise and what is the overall experience like? DD: Food + Enterprise is intended to gather the eco-system of stakeholders — food entrepreneurs, farmers, investors, and consultants– required to finance a better food system and to create value for all. The overall experience is one of fostering immediate collaboration and resilient community building. We see the conference as starting point for developing relationships rather than a single set of events at one point in time. That is why Food + Enterprise is planned for next year on the day that it ends this year, seeking to improve and expand upon what we learned in the past. Thus, Food + Enterprise has been called a “breeding ground” for creativity, ideas, and partnerships. 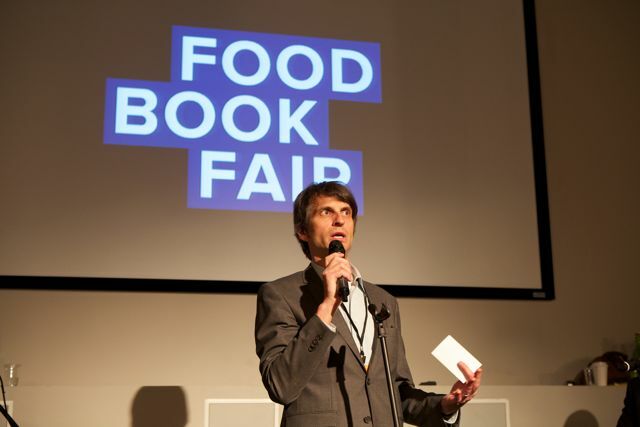 Hopefully, attendees will come away with business connections, increased knowledge of the sustainable food system and inspiration to make change in their practices, funding choices and enterprises. Food + Enterprise has been designed day-by-day to roughly track the three stages of small food business financing – inspiration, connection and investment. Day One “Inspiration” focuses on building relationships, structured networking and enhancing base business knowledge via the multi-part Entrepreneurship Clinic. Day 2 “Connection” fosters discussion that explores Deal Dialogues and Discussions, investment strategies, consulting relationships, investment approaches and a Working Group on Shared Values in Sustainable Agribusiness Investing. Day 3 “Investment” takes the somewhat abstract ideas of previous days and makes them very concrete — presenting opportunities to hear several new business plans at the Pitch Competition and explore cumulative sharing at MeetPlace, a curated display of local foods and resources for investors and entrepreneurs. Each day provides substantive content designed to provide value for all three stakeholders – entrepreneurs, consultants, funders – as well as anyone eager to understand the special role of capital in nurturing change in the local food system. FTC: The Pitch Competition sounds really great, especially since participants will be able to launch a Barnraiser crowdfunding campaign after their pitch. Can you tell us a little about the competition? DD: The Food + Enterprise + Pitch Competition was intended to provide a showcase for the best innovative ideas emerging amongst sustainable food and farm entrepreneurs in the North East foodshed. We seek out a diverse set of businesses that take differing approaches to making the food system more sustainable and local. And we provide a strong mentoring and preparation to all the finalists to insure that the enterprises are getting the maximum return on their own investment of time in making their presentations. The “competition” aspect of the pitch is intended to create a fun and entertaining presentation format. We want the finalists to compete against themselves — challenging themselves to express their business plans in the most compelling manner. So, the winner is less about “better than” and more about “best of.” That’s also why this year we are giving out three prizes rather than one. We are creating a community amongst our finalists. And they have clearly gotten this message, because they have developed friendships and longstanding collaborations as a result of participating in the Pitch Competition. FTC: This is your third conference. Can you share some interesting or exciting outcomes from previous events? Mark Jaffe of The Fresh Connection, winner of the Pitch Competition in 2014 , provides an instructive case study of the sort of typical outcomes experienced by many participants, for instance, receiving a tremendous amount of new business arising from his involvement with Food + Enterprise. For instance, Jaffe teamed up with Farm to Table Copackers, a business featured in our “Anatomy of Deal ” Discussion at Food + Enterprise, to transport goods for Migliorelli Farms. He developed a transportation arrangement with Quinciple, one of last year’s event sponsors. His high profile presence at Food + Enterprise eventually led to an article devoted his work in The New York Times at the end of December. Sohha Yoghurt, our Pitch Competition winner in 2013, was selected for participation in Chelsea Market and Down to Earth Markets as a result of its participation in Food + Enterprise 2013. The higher profile achieved by this company as a result of its participation in Food + Enterprise led to its selection as best yoghurt in NY by New York Magazine later that year. And its not just Pitch Competition winners who benefit! Consultants, like Christine Rico, who participated as a coach in the Entrepreneurship Clinic said that she came away from Food + Enterprise with the most number of new clients that she had ever obtained at any conference. Nicole Chaszar of Splendid Spoon found investors and consultants at the Clinic who have helped her business triple sales in the last year. Investors like Alain Bankier told us that the atmosphere of Food + Enterprise was so collegial compared to other finance conferences that enterprises felt more like potential friends rather than just “deals” at the end of the day. FTC: Do you have any big goals for this year’s conference? DD: We hope that this year’s conference will do what the prior two conferences accomplished, yet multiplied by three. Three days. Three times the number of attendees. We are keeping and enlarging many of our most successful elements from previous years — Entrepreneurship Clinic, Anatomy of Deal, Pitch Competition, Funders Lunch — and adding several new twists and enhancements such as Working Group on Shared Values, Jeffersonian Dinners, Meetspace, neighborhood tours, nationally-renowned keynote speakers and unique food and drink experiences. You can learn more about the weekend’s events here.